In order to maintain good looks, unwanted hair removal is mandatory for women. Unnecessary hair on body like on the face, armpits, hands, legs etc can ruin the way you look. No matter how beautiful skin you have, having unwanted hair is a complete turnoff and hence young women try out various ways to get rid of unwanted hair. This craze for removing unwanted hair has led to the usage of various hair removal techniques starting from using commercial hair removing creams to laser treatments etc. But the more popular hair removal techniques are waxing and threading. Therefore, keeping their efficiency and need in mind, I thought of discussing about waxing and threading. 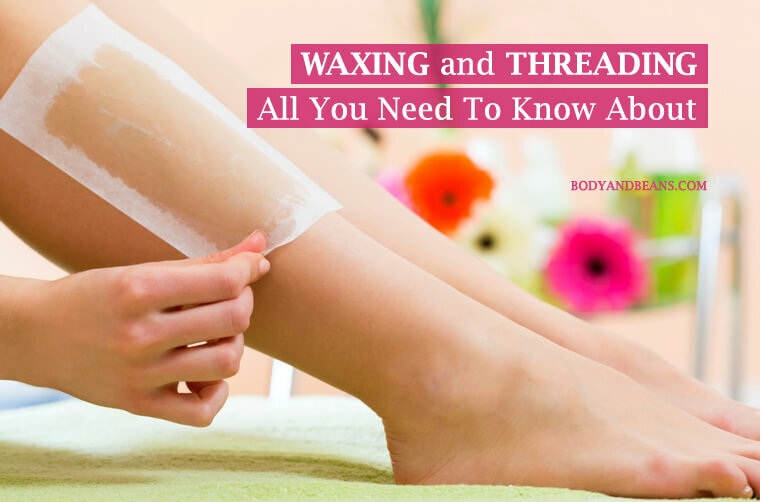 So today in this post, I am going to talk in details about waxing and threading, their advantages, disadvantages and thoroughly guide you regarding which one is more apt for you. If you are wondering about how to get rid of unwanted hair or considering waxing and threading, then here’s the post you must read till the end. Everyone loves hair on scalp but the moment it grows on body parts where they are unwanted, it becomes a matter of stress. Our society is beauty conscious and women of this generation leave no stone unturned to look beautiful. While the commercial hair removal creams are handy, they contain chemicals that can harm your skin and can even lead to skin darkening. On the other hand, the laser treatment although effective is very expensive and hence cannot be afforded by all. Therefore, the two most common techniques of hair removal in today’s life are the waxing and threading. Although these are not permanent techniques but majority of women uses them and most women are well satisfied with the overall results. However, the reason I thought of writing this post is that, each one of us have different skin types and we may not get the similar desired results. Therefore, a detailed study of waxing and threading is required, which will guide you whether waxing or threading suits your purpose or not. What is the difference between waxing and threading? Both waxing and threading have the same aim of removing unwanted hair from the body parts but the difference is in the method of hair removal. While waxing uses hot wax, the latter uses strings to pluck off hair. Some say that for them waxing is better while others find threading more effective. Therefore, it is you who have to decide between the two and I will help you do that. So let me explain you both the techniques separately and also state their respective advantages and disadvantages. This will perhaps help you to judge which one is a better option for you. Waxing is a quick, inexpensive and semi-permanent way of removing unwanted body hair. In this process, wax is applied on the skin and then the hair is pulled off from the roots with the help of waxing strips. It is done generally on clean skin that has no oil or other residue over it. Waxing works great for many and it leaves the skin soft and smooth. If done correctly, it causes minimal pain. Also in most cases, it takes longer time for the hair to re-grow and hence said to be apt for hair removal be it on your legs, hands or face. Soft wax– In case of soft wax, a thin layer of warm wax is applied on the skin in the direction of growth of hair. Then a waxing paper or strip is laid on both your skin and your wax. After that, the strip is pulled in the opposite direction of the hair growth thus removing the hair from your skin. Hot wax– In case of hot wax, a thicker solution of wax is applied directly on the skin. It is allowed to cool down a bit. Once it gets hardened, it is peeled off using your fingers. It is more effective as the solid form has a better grip on the hair, even on the ones that are thick and coarse. This method is better than the soft wax and is mostly used in sensitive body parts. Moreover, it bonds with the hair and not the skin and hence is less painful. Cartridge waxing– This is a perfect solution for removing hair from the larger areas like arms, legs, back, chest etc. This is particularly good for them who do strip waxing often but has problem while maintaining the pace using spatula. Lasts for a long time– Waxing is said to be effective as it lasts for a longer time that is 4-6 weeks in most cases. However, for some it grows within a week when some of the hair has a different hair growth cycle. Hairs that regrow is finer– After waxing, generally there is finer re-growth of hair. This means less itchiness when they start growing. Free from shaving rashes or stubble– Waxing makes your skin smooth and soft so you will be free from the coarse prickly stubble or shaving rashes. No cuts– Waxing is much safer as far as cuts are concerned. It is overall gentle on skin and does not result to any cut. Quick method– Waxing is an easy and quick method of removing hair from body. It is also a cost effective method. Can be painful– While some has stronger resistance power, others may really find it painful. Red patches on skin– Waxing leads to redness on your skin and sometimes these rashes take longer time to go. Skin allergies– Some are allergenic to the ingredients used in waxing which may lead to severe form of allergies that might leave behind patches on your skin. Skin may burn– Generally a professional knows how much heat a skin can bear but in case of any mistake, you may end up burning your skin. Moreover, if they use any anti aging or acne creams be careful as they may contain retinoid that harms your skin. Therefore, you need to be cautious with sensitive body parts. Another technique of removing unwanted hair is threading which began in India almost 6000 years ago and slowly became popular across the other Asian, Middle Eastern and more recently in the European countries. In this process, the unwanted hair follicles are plucked in a twisting motion with a help of cotton thread. Generally, the motive is to get rid of the complete hair follicles. It targets the removal of line of hair rather than removing single hair. Threading is more commonly used while shaping your eyebrows or while removing unwanted hair from your upper lip, cheek, neck and forehead. Fast process– Not all women has lot of time for beauty routine and threading is ideal for them. This is a fast process and it hardly takes 5 minutes to shape an eyebrow. Therefore, it is good for busy women. Lasts long– Threading is long lasting and the hair takes more than a month to grow back (exceptions are there). Even the small hairs that often cannot be removed by waxing are sometimes removed with the help of threading. No redness or swelling– Threading is a better option for people with sensitive skin as it is comparatively gentler on skin. Threading targets the hair and barely touches your skin in comparison with waxing that often removes a layer of skin, which harms your skin more. Very precise– Most people go with threading in case of eyebrows. This is because it is more precise and gives you the desired shape. The hairs on the above and below are mainly targeted with the middle hairs remaining full. This gives a fresh and clean look to your eyebrows. Less pain– Well some people find threading less painful in comparison to waxing. However it various from person to person and also depends on the skill of your professional or beautician. Nevertheless, little pain is worth it if you are getting a perfect clean removal of unwanted hair as a result. Very inexpensive– Threading is inexpensive and can be afforded by maximum women. No chemicals– Since the process of threading involves cotton threads, there is no use of chemicals. This does not lead to burning of your skin unlike waxing and hence is considered safe by majority of people. Works only on flat surfaces– Threading is good only on flat surfaces where the professional can work with the strings. Whereas in case of uneven or curvy surfaces like knees or bikini lines, it creates a lot of difficulty. Skin problems– If you have an over sensitive skin, even threading can cause problems. And, if you are prone to acne, it may instantly leads to rashes or breakouts. Painful– Well, this becomes a neutral point in both the pros and cons list. This is because not everyone is properly skilled, so if your professional is not an expert, it may cause you a lot of pain. Can easily go wrong– Threading is precise but if by chance one hair is wrongly plucked, it can ruin the full shape of your eyebrows. In other words, there is always a risk factor while threading (mainly your eyebrows). Now that you have known the pros and cons of both waxing and threading, let us discuss now about which is the better option? The time has come to finally conclude which one is better for you and I have a few suggestions that will help you choose the best option for you. To be very honest, it is a little difficult to declare any one of them to be perfect as both has its own set of pros and cons. Therefore, according to me the best option is to mix and match. In other words, you must choose the technique depending on your body part and skin type. Confused? Then keep reading the below points for the details. While removing unwanted body hair, you will find threading to be a better option for some body parts while for the rest, waxing is preferable. Like in case of eyebrows, upper lip, forehead I personally think threading to be a better option. However, in cases of larger surfaces like your legs, hands, back etc, threading will be time consuming and the hairs will not get removed properly and so waxing is preferable for such parts. Therefore, you must choose waxing or threading depending on your body part. Both the processes are affordable, remove hair effectively, and have individual pros or cons. However, the side effects may vary from skin to skin, so my advice is you must pick the hair removal method depending on your skin type. For people who have sensitive skin, I personally advice to go for threading mainly for eyebrows and others facial parts as it suits most skin types. However, for people who have excessive sensitive skin, they will experience eruptions after both waxing and threading but still, in general threading is a bit more safe option. This is because it has far less contact with skin in comparison with waxing. Moreover, threading involves no chemicals resulting to less or no damage to the skin. Also, the little redness or eruptions does not remain for long. People with too much sensitive skin can go for shaving. Although it is not a very good option in general, but is safe for extra sensitive skin. You just have to be careful while shaving to avoid any cut or wound. If for a moment you forget about waxing and threading, there is another inexpensive way of getting rid of unwanted hair mainly on your face and that is the natural home remedies. You may not be aware but there are several common natural kitchen ingredients effective in removing your hair. The only difference is that these methods are not so quick and instant like waxing and threading. Here you have to work hard with patience and diligence for a longer time to get the results. In short, you cannot expect overnight miracle but, if you are determined, you will see effects in few weeks. The remedies are easy and effective and more importantly there is a perfect face pack for each skin type. People who are lucky with normal skin can go with any face pack but those with specific skin types can choose according to their skin type. For example, the turmeric and rose water pack or the lemon and sugar pack is good for oily skin, the people with dry skin can go for packs using honey and milk etc whereas for sensitive skin, the wheat bran and milk mixture is good. What adds to the benefit list of the natural home remedies is, they not just remove the unwanted hairs but also give other skin benefits like glowing skin and reducing acnes, rashes, infections etc. Unwanted hair is frustrating and hence the various hair removal techniques are getting popular day by day. But since all the techniques are not accessible by majority women, they generally go for waxing and threading both of which are effective as well as cheap. I have talked about waxing and threading extensively starting from the procedure of usage to the advantages and disadvantages and hence you can use my article as a perfect guide the next time you enter a parlor. From all the researches and findings, none of the methods can be concluded as ideal as both have its own set of advantages and disadvantages. Therefore, the best way is to choose them depending on your skin type and the body part. In this article, I have talked about the natural home remedies to be the perfect alternative to waxing and threading. The facemasks are perfectly safe, cost effective as well as easy to apply. Moreover, there are a various facemasks depending on your skin type. 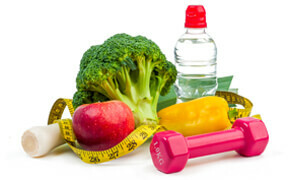 So, if you have patience and is ok with slow but effective results, you may go for the natural home remedies. Consult the list of facemask that I wrote on my other article regarding unwanted facial hair removal and try out the one that you think suits your skin type. Hope you will benefit from them. Do you also suffer from unwanted body hair? Are you also confused between waxing and threading? Do you prefer the usage of natural home remedies for this purpose? Do share me your feedback in the comments below and do not forget to like and share if you find my post useful.